Lisbon, 6 February 2014. HRH Prince Charles of Bourbon Two Sicilies, Duke of Castro and Grand Master of the Sacred Military Constantinian of St George was invested as a Knight Grand Cross of the Royal Order of the Immaculate Conception of Vila Viçosa at a ceremony held at Lisbon Cathedral. 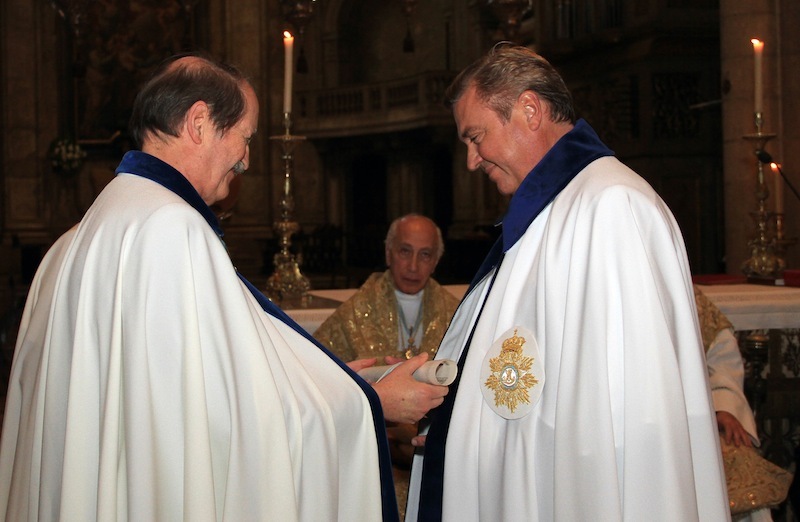 The investiture ceremony and mass was presided over by the head of the Roman Catholic Church in Portugal, His Beatitude Manuel III, Patriarch of Lisbon. 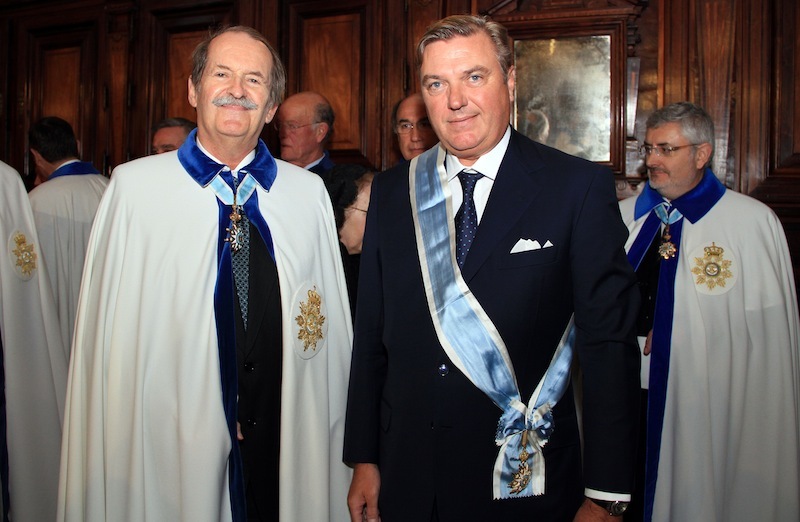 The insignia and diploma were presented to the Duke of Castro by HRH Dom Duarte, Duke of Braganca, Head of the Royal House of Portugal and Grand Master. 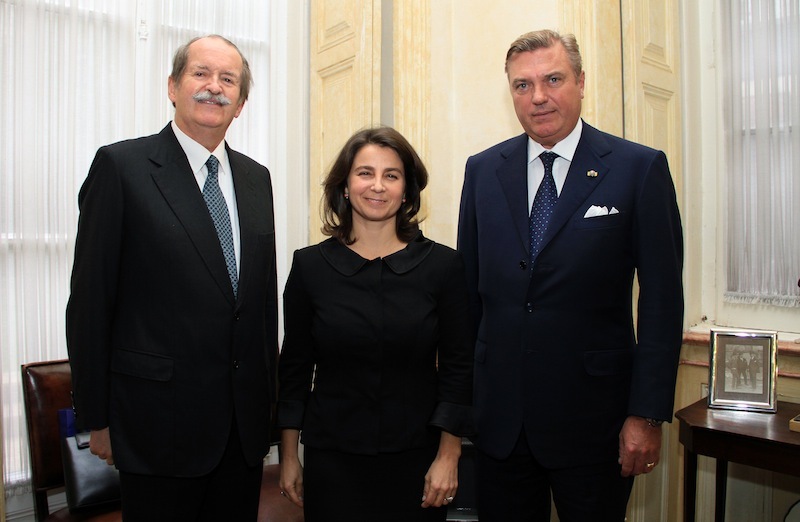 This investiture marks another milestone in the warm and cordial relations between both Royal Houses of Naples and Portugal. The late Prince Ferdinand, Duke of Castro was a previous recipient of this Order. The Order was created by King John VI of Portugal in 1818 and is primarily bestowed upon Heads of State and Royal Houses, members of the Portuguese nobility and on Portuguese and foreign nationals in recognition of their services to the Portuguese Royal House, the Catholic Church and to charitable endeavour in Portugal and abroad. Over 200 persons attended the ceremony and a formal luncheon was held before the ceremony at the Turf Club hosted by TRH The Duke and Duchess of Braganza. Shortly before the ceremony the Duke of Castro and accompanying delegation called upon the Apostolic Nuncio to the Portuguese Republic, HE Archbishop Rino Passigato at the Apostolic Nunciature in Lisbon. 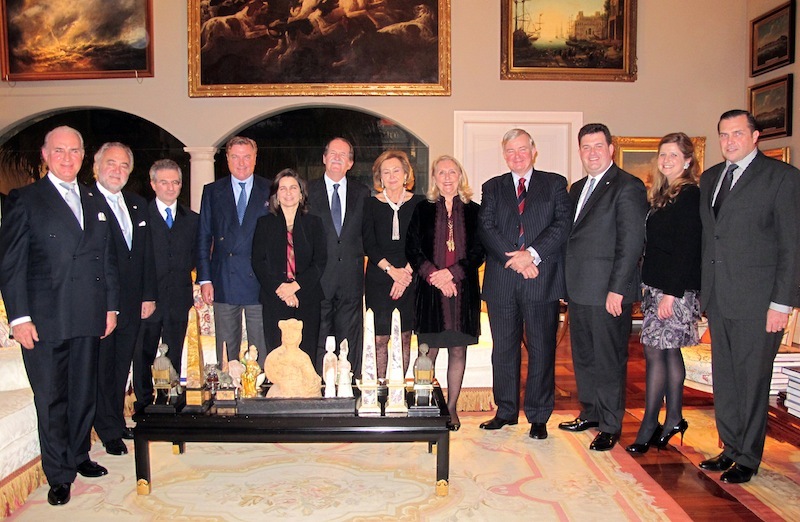 On the eve of the investiture at the residence of the Delegate for Portugal of the Constantinian Order, HE Baron Miguel Horta e Costa a dinner was held in honour of HRH The Duke of Castro. 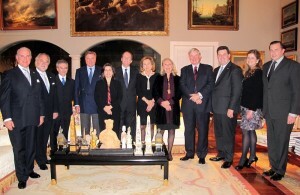 Among those attending were TRH The Duke and Duchess of Braganza, TRH Prince and Princess Charles-Philippe of Orléans, Duchess Claudine of Cadaval, Diane de Polignac de Barros, HE Miguel de Polignac de Barros, firefox for PC Ambassador of the Sovereign Order of Malta to the Portuguese Republic, HE Mr Anthony Bailey, OBE, Grand Magistral Delegate for Inter-Religious Relations of the Constantinian Order and former Lord Mayor of London Sir Gavyn Arthur.